Life on board the Tui Tai Expeditions Cruises lets you get up close and personal with the beauty and unpredictability of the ocean. Manta Rays are incredibly illusive and breathtaking, and when they grace you with their presence it is an experience you will not soon forget. 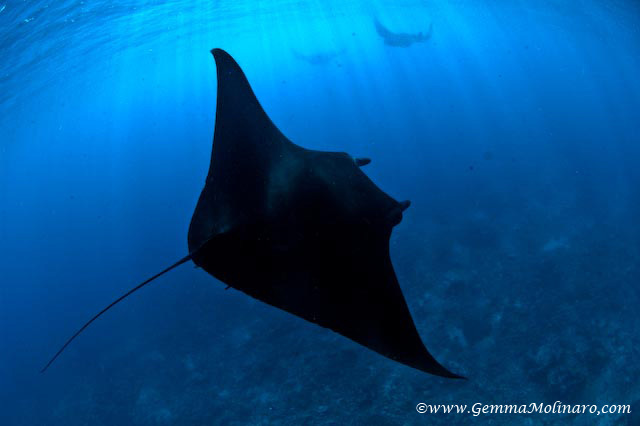 Our site where we encounter Manta Rays is a plankton rich feeding area. They swim close to the surface with their wingtips piercing the surface, this is how we spot them as it is also a area with lots of water movement and intense currents. 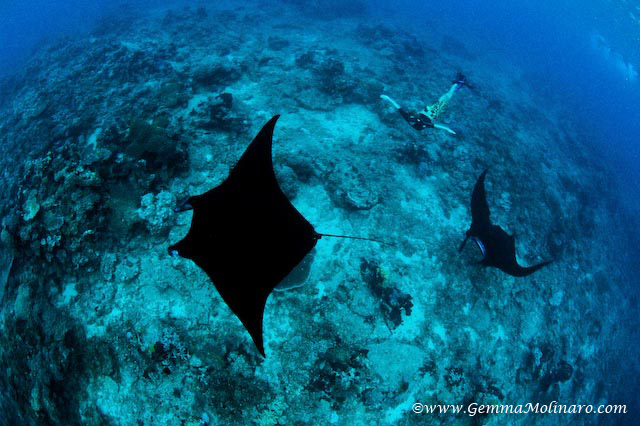 Over time we have narrowed down the tide times, moon phases and conditions that the Manta Rays like but still at the end of the day its still down to chance as a lot is unknown about these magnificent creatures. On board the Tui Tai we have decided to use our unique encounters to learn more about these amazing creatures by creating detailed logs of conditions,times, amount of rays and their behaviour. 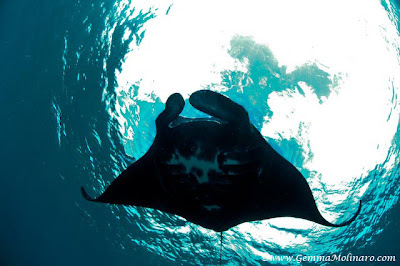 A Photo ID log of the Mantas belly will identify each individual manta like a finger print so we can see how many of the same animals return each time and use this information to further our knowledge about these creatures.